Austerity just lost its biggest champion – Conservative voters. The majority of Brits now think the government should increase levels of tax and public spending – the highest proportion in fifteen years – according to new findings from the British Social Attitudes survey. According to the NatCen survey – arguably the most rusted record of public opinion – 67% of Labour supporters want to see more ‘tax and spend’. That’s unsurprising. But it’s the finding that 53% of Conservative supporters think the government should now increase taxes and spending on public services which will cause consternation in the Treasury. 60% of people overall are in favour of the government taxing and spending more, up from 49% in 2016 and 31%, in 2010 when support for tax and spending increases were at its lowest. Just a third of people (33%) now say that tax and spend should remain the same – and active austerians are in a tiny minority: only 4% think that government should tax and spend less – the same as the previous year. The research also reveals another startling finding: older people more supportive of more tax and spend than the young. Health and education the top the list of priorities for extra public spending. 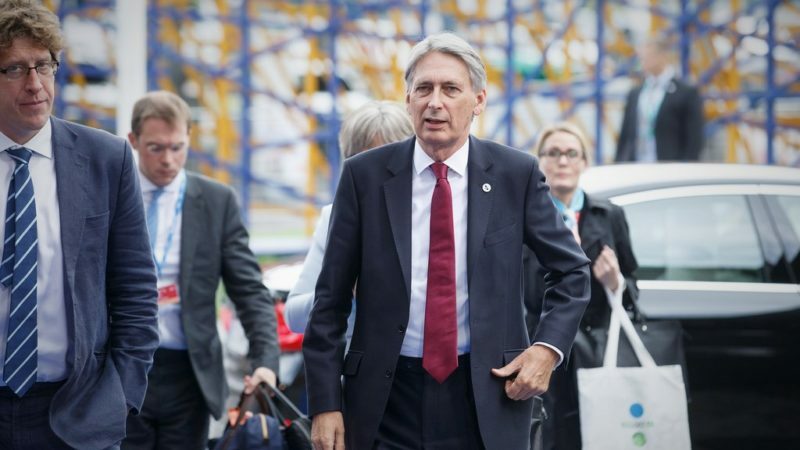 The findings back up research for the GMB union by Survation in March, which found that 62% of the public want to see an increase in public spending in the Spring Budget Statement. Almost half (48%) who voted Conservative at the last general election think that the cuts have gone too far. “Since 2010 the proportion of people who want more tax and spend has nearly doubled and shows the country is clearly tiring of austerity. “The question for the government is whether their recent spending announcements have done enough to meet public demand for more public investment, including now from a majority of their own voters. Those aged 55 and over are significantly more inclined (65%) to state that tax and spending should be increased than those aged 18-34 (54%). This trend appears to be consistent over time, with those aged 35 and over being more likely to back increased tax and spending than those aged 18-34 since 1993. There’s been a significant rise in Conservative voter support for economic stimulus, increasing by 18 percentage points from 35% in 2015 to a majority today. Yet the Tories seem intent on pushing through further cuts: IFS analysis last November showed £12 billion of welfare cuts are still to come and public service spending due to fall further. GDP per capita will be 3.5% smaller in 2021 than was anticipated in March 2016 – a loss of £65 billion to the economy. Workers will be taking home on average £1,400 less a year in 2021 than was predicted two years ago. This is less in real terms than before the 2008 crisis. And TUC analysis shows that despite claims that austerity is over, spending per person on schools, hospitals, local government and other public services will be down by £960 per person, per year in 2022/23 compared to its level in 2009/10. According to the NatCen research, the last time over half of Conservative voters thought the government should increase tax and spending was in 2002, when support among the whole population for public spending was at an all-time high. But this is now clearly turning around. The NatCen findings come after Labour party analysis revealed Tory health cuts are forcing 85 per cent of councils to reduce their public health budgets this year. “Sadly, the Labour party’s findings echo what our public health members are telling us on a daily basis. Interestingly, support for continuing austerity sits at just 4% for both Labour and Conservative supporters. When asked what the top priority for extra public spending should be, the majority of respondents say they would like to see government spend more on health (54%),followed by education (26%) and housing (7%). Social security (2%), public transport (1%) and overseas aid (0%) were least popular. Both Labour and Tory supporters see increasing health spending as the top priority (54% both), while 30% of Labour voters want more spending on education to be the top priority compared with 20% of Conservative voters. NatCen’s Harding added: “The national mood on tax and spend is shifting. Parties would be wise to spend some of conference season thinking about how they might respond.” Indeed.